I love apple & rhubarb. It is also super easy to make – chop a couple of apples & some rhubarb. Throw it in an oven dish, cover the top with foil & bake for about 30 minutes at 180 degrees celsius. Once 30 minutes is up, take out of the oven, remove the foil & check that the apples have become slightly transparent & the rhubarb is falling apart. Stir through buckwheat, & allow to sit for 10 minutes or so. 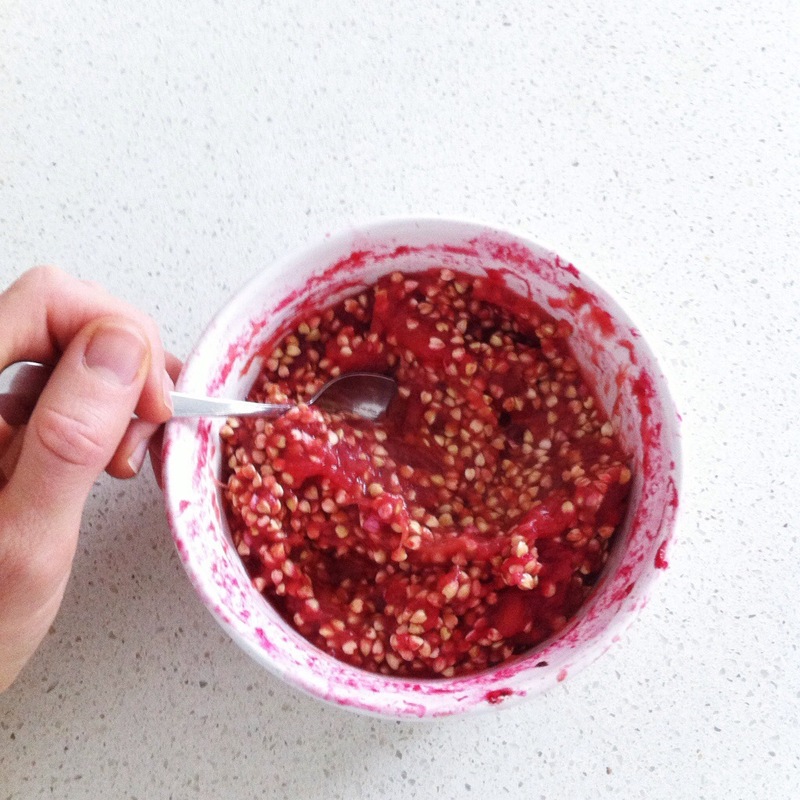 This entry was posted in Recipe and tagged Apple, buckwheat, cleaneating, dairyfree, glutenfree, paleo, porridge, refinedsugarfree, rhubarb, vegan by 6 Clean Ingredients. Bookmark the permalink. This puts my morning oatmeal to shame!